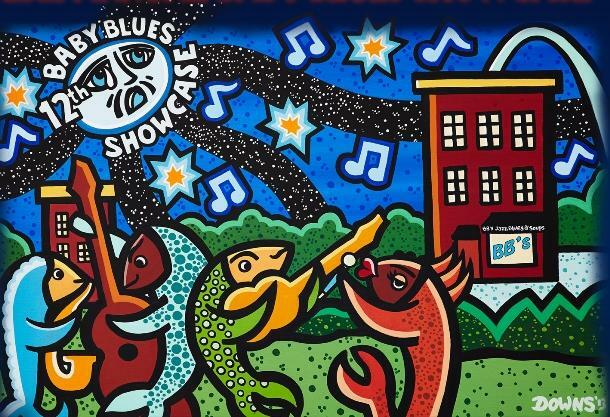 The 12th Annual Baby Blues Showcase takes place Sunday, December 1 and features The Thin Dimes, Aaron Griffin, Beulah Foehner, Mojo Roots, Animal Children and Matt Lesch. In addition to 5 hours of music, the event will benefit Play it Forward, a program that collects and provides musical instruments for needy children and school music programs. More information is available on the event web page. A discussion about the 12 Annual Baby Blues Showcase with Jeremy Segel-Moss of the Bottoms of Blues Gang as well as Nick Pence and Hannah Satterwhite of The Thin Dimes.